What Is The Cementing Process? The casings are available in different sizes and steel grades. Surface cementing usually uses 20~13 3/8 inch casings, most of which are steel grade "J" grade casings. Technical casings typically use 13 3/8 to 7 inch casings with a higher steel grade. Oil casing casing cementing usually uses 7 to 5 inch casing, and the steel grade strength is the same as that of the technical casing. The strength of the casing is designed according to the application, formation prediction pressure and casing penetration depth, and the wall thickness, steel grade and thread type of the casing are determined. The casing is different from the drill pipe. It is a one-time pipe that is not required to be thickened. The length is not strictly regulated. In order to ensure the cementing quality and smoothly enter the casing, the structural design of the casing string is to be carried out. Cement injection is a key process after casing entering the well. Its function is to seal the annular space of the casing and the well wall to seal the oil and gas water layer, so that the casing becomes a passage for oil and gas to pass into the well. Oil well cement is an important material for sealing the casing and the annular space of the well wall. Because the well is deep and shallow, the underground has atmospheric pressure and high temperature and high temperature, and the formation also contains various chemical substances, so the oil well cement is required to have a wide adaptability. At present, there are 9 grades and three types of oil well cement used in China. Different grades and types of cement are suitable for different downhole conditions. Therefore, selecting cement according to the depth and temperature of the well is the primary task of cementing operations. Immediately after the casing is completed, the circulating pipeline and the cementing pipeline are connected to prepare for cementing. First of all, it is necessary to open the pump to circulate the drilling fluid. Because the gap between the casing and the well wall is small, the high return speed is used to impact the mud cake on the well wall, and the performance of the drilling fluid is adjusted until the circulating pump pressure is stable. During this period, the start of the cementing pump, ash, water supply, mixing, and suctioning should be ready. Before the cement slurry is injected into the casing, a certain amount of pre-fluid is pumped to isolate the drilling fluid and the cement slurry to avoid mixing. Moreover, after the separator returns to the casing, it also serves to clean the annular space. The displacement rate of the cement slurry depends on the conditions in the well. If there is no special situation, high-speed turbulence displacement should be adopted. However, in the case of low formation fracture pressure, only low speed replacement can be used. 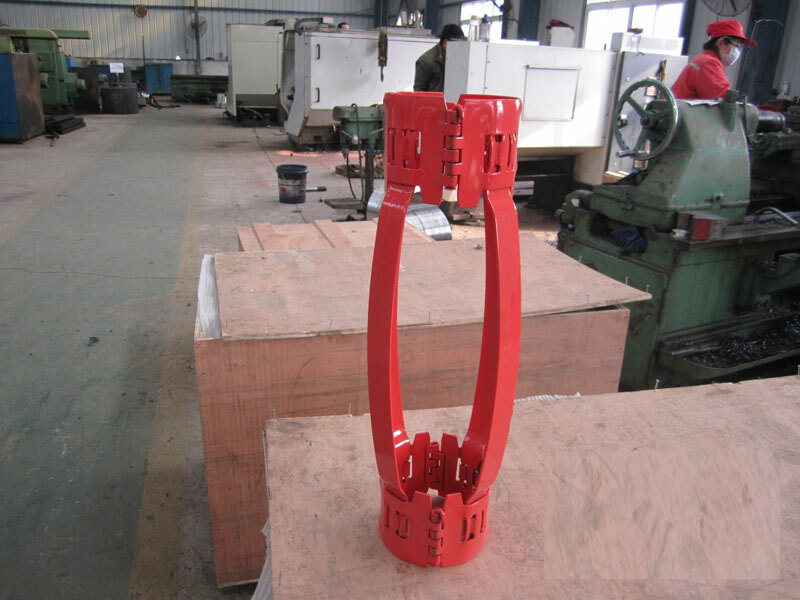 We have a variety of Cementing Equipment available for you, such as: Bow Spring Centralizer, Cementing Plug, etc. If you have any questions you would like to know, you can contact us directly, we will provide you with relevant products according to your needs.